Mashed potatoes, mixed with butter and bacon, chives, spices, cheese... whatever you wish. 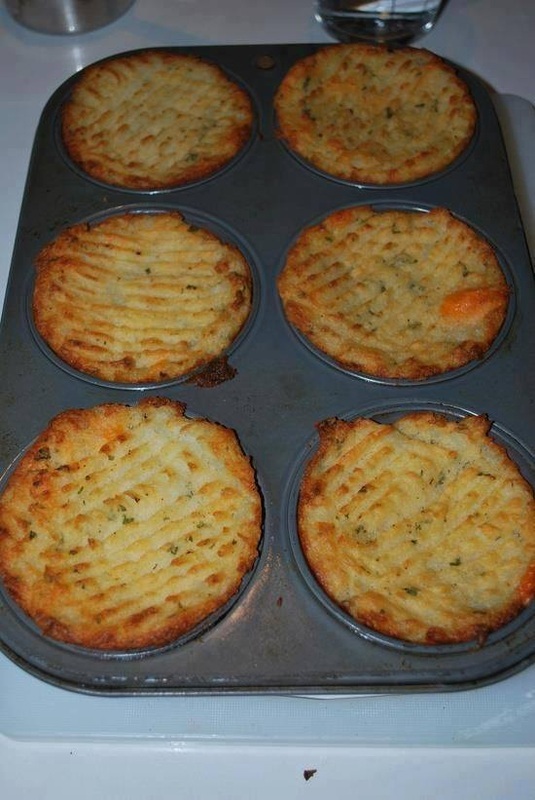 Stuff into a greased muffin tin and "fork" down the tops. Brush on melted butter or olive oil and bake at 375F until the tops are crispy and golden brown.